Blend all of the ingredients together in a food processor or a high speed blender till smooth. If you use a food processor, stop frequently while blending to scrape the sides of the machine down. 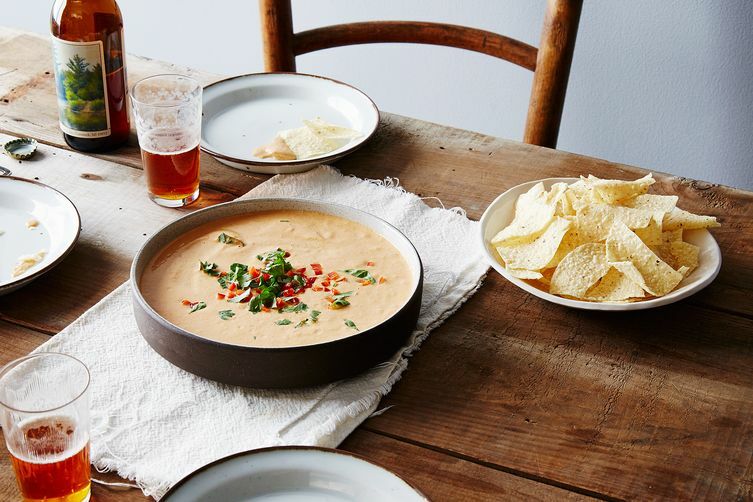 The queso sauce will keep in the fridge for up to 5 days, and it can be frozen for up to a month.